Lynne from Cafe Lynnylu is hosting this edition of Weekend Herb Blogging and this week I have brussels sprouts on the menu. I know they are unloved by many but I just adore them and winter sees them at their peak. 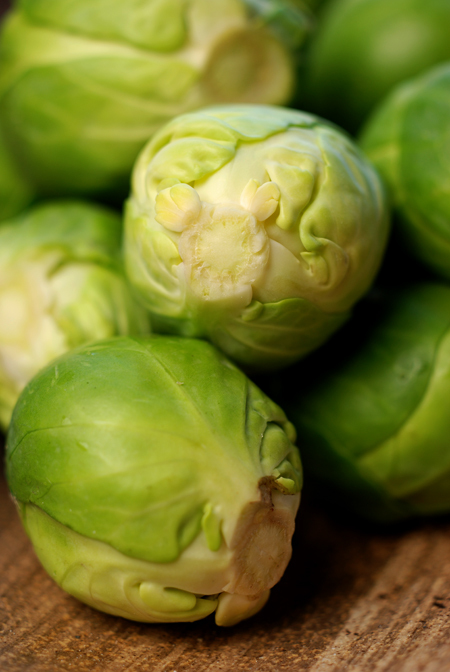 Like all members of the brassica family, sprouts are best cooked simply and quickly. The simplest is to quickly sauté just steamed sprouts in mix of olive oil and browned butter - cooking only until they start to brown but if I'm after a little more flavour, then I'll make this. 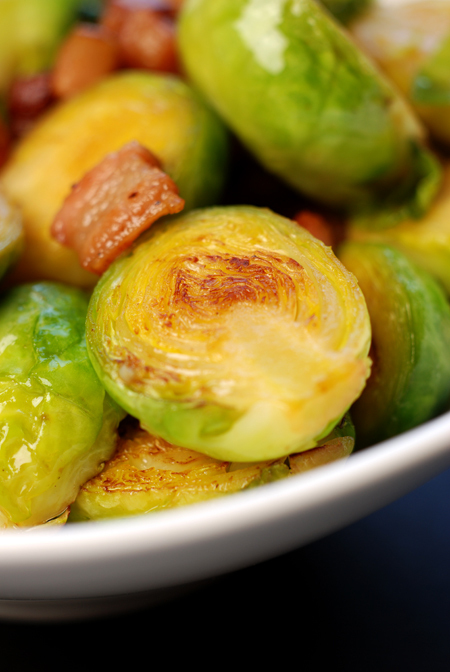 If you can find them, baby brussels sprouts are great to use in this dish whole. If not, just try to select the smallest ones you can find - I find these are just naturally a bit sweeter and fresher tasting. Slice the end of each and remove thick outer leaves before cutting in half. 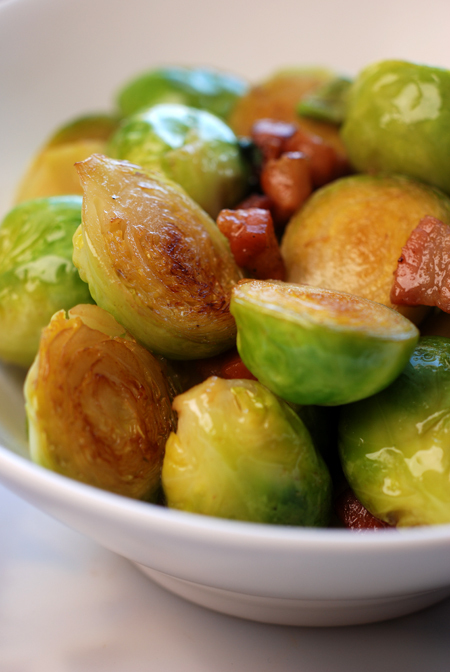 Place the halved sprouts into a steamer and steam for a couple of minutes, just enough to only slightly soften them. 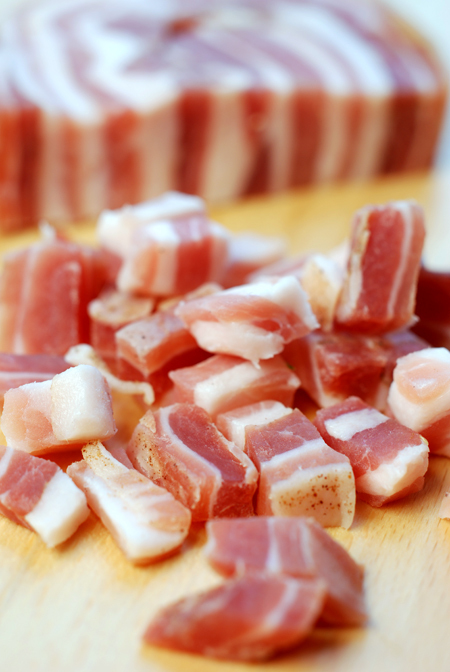 Pancetta is a cured, rolled pork belly but if you can't find it then you can use bacon. I buy the pancetta as a thick slice and then just cut that into appropriate sized lardons. Place a heavy, non-stick pan over a medium heat without any oil and when the pan has heated through, add in the pancetta. Sauté this, stirring frequently to brown the pancetta. Sprinkle in a few fresh sage leaves and then add in a small knob of butter. Once this has melted, tip in the sprouts and continue to sauté until they have heated through and have started to colour. Once they have coloured, taste and adjust for seasoning if desired. Depending on the pancetta used you may find they don't need any extra seasoning. 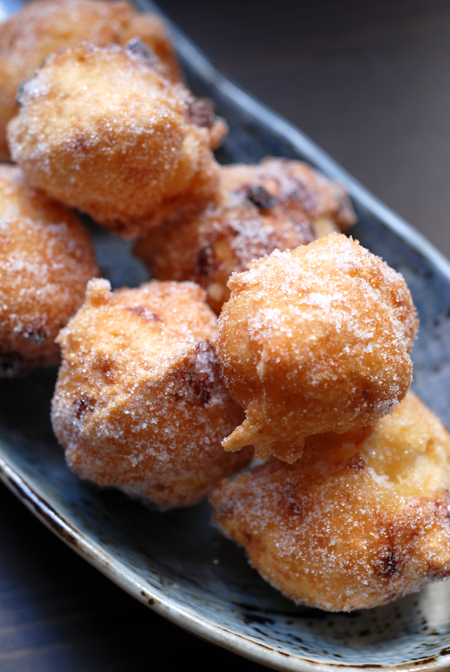 These are so tasty I could happily indulge in these alone and forget the main. If I'm after a true comfort hit, then serve these alongside some smooth and creamy mashed potatoes. There seems to be a problem with the comment form if I have verification activated so I've removed this and activated comment moderation instead. Hopefully this will be a temporary thing. It works! Yay! Thanks for fixing comment form. Thanks for letting me know and hopefully google will fix the issue soon! I also had a problem the other day, hope this comment goes through! I love Brussel sprouts and luckily my family has learned to love them too. I normally make them with lemon infused olive oil, black pepper and parmesan, but the pancetta gives me a whole new recipe, thx!! Hi Nina - comments should be working now, they just won't show immediately as they first go into moderation. Sorry though, I don't know anything about an email.